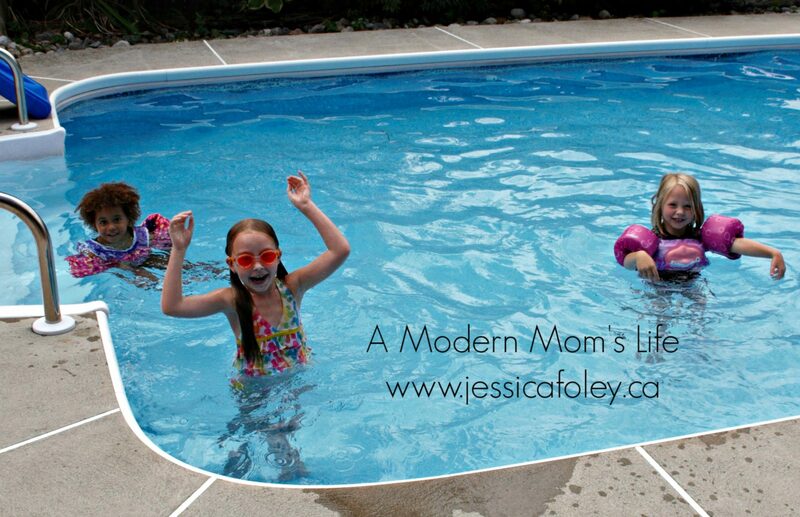 As a parent I spend a lot of time watching my kids play around water. We go to their Nanny’s pool almost every week in the summer, some years we go to a cottage, or camping, and sometimes we go walk along the lakeshore, or around the Rideau Canal locks. Keeping them safe is always forefront in my mind. Now that my girls are older, and have gone through many years of swimming lessons, I’m more comfortable spending time with them around the water. But you may not be there yet, so here are some tips to help you stay safe around water. The Red Cross website has a great article that outlines how you should choose the right lifejacket for yourself and for your child(ren). While this is isn’t specifically a water safety tip, being safe in the sun is very important – for you as well as your kids! In my home we use an SPF of 30 or 60 every time we go outside for an extended period of time. And then I bring that sunscreen with me for reapplication through the day. We also always take hats to keep the sun out of our faces. Shade is your friend. It may feel nice to laze in the sun, but that is not good for your skin long-term. I can’t say I don’t sit in the sun – I do! – but not for long periods, and never without sunscreen. Stay hydrated! Drink lots of water, eat healthy, and avoid too many salty snacks while you’re out in the sun. I’ve had heat stroke, and it’s not pretty. Use your common sense when outside for a long time, especially around water. One of the reasons it is important to have a lifeguard at your pool party is for safety. Not everyone who shows up to your pool party may be a strong and confident swimmer. If there are weaker swimmers present, the lifeguard will be able to identify them and keep an eye on them. The lifeguard will also be able to make sure only strong swimmers capable of swimming in the deep-end actually go in the deep-end. It is all too common for a swimmer to reach the part of the pool where they can no longer touch the bottom and start to freak out. Having a lifeguard’s eyes on the pool can help to make sure this does not happen and keep your pool safe. In addition, if you are hosting a pool party you are sure to be very busy. From greeting people, to preparing food and making sure everything runs smoothly, it is easy to get distracted and not always pay attention to the swimmers in the pool. With a lifeguard present you may still have to run from duty to duty but you won’t have to keep an eye on the pool! Having a lifeguard at your backyard pool party is an excellent idea. It not only provides a safe environment for everyone swimming but it also allows you, the host, to feel at ease knowing everyone is safe in the pool. The Red Cross Swim Programs start as early as 4 months and also include adult/teen programs. In addition to teaching swim strokes, these lessons incorporate age-appropriate water safety knowledge and rescue skills. Flamingo in the Backyard prides itself in being the most convenient swimming lesson service in Kingston. We will come to your backyard pool on the days and times that work best for your schedule to teach the Red Cross Swim program. Your child will not only enjoy swimming in their backyard, they will also become stronger and safer swimmers! All our staff are certified Red Cross Water Safety Instructors as well as lifeguards. Having a fence is great at keeping kids out of the pool, but pools, of course, are meant to swim in! If your children are in the pool, you should be too. 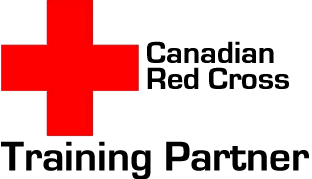 The Canadian Red Cross drowning statistics have proven that the absence of adult supervision is a factor in most child drownings. 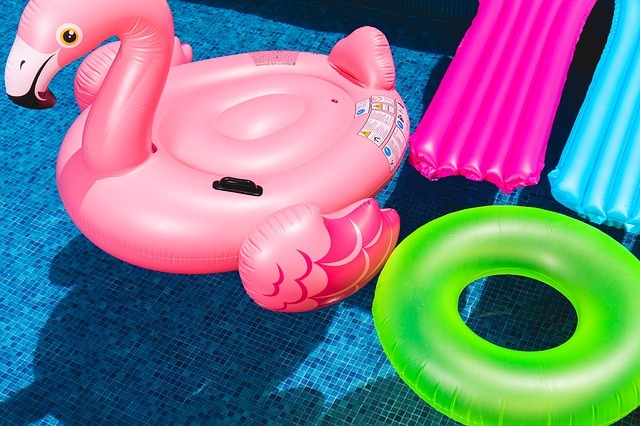 Remember there is no substitute for undivided adult supervision; which includes the use of floaties, lifejackets and other personal flotation devices. Drowning happens fast and is often silent, so take preventative action by giving your child 100% of your attention in the pool. Help keep your child from sneaking into your backyard pool by always keeping your promise when you say you will go swimming, and be consistent with pool rules you enforce. Don’t let unsafe pool activity spoil your summer fun, visit http://www.redcross.ca/training-and-certification/swimming-and-water-safety-tips-and-resources for more water safety tips. How do you stay safe with your kids around the water? Share your own tips in the comments – I love reading them! This post is a sponsored, collaborative effort with Flamingo in the Backyard. Thank you to Natalya for helping me provide you with this great water safety post. Stay safe in the water this summer and have a splashing good time! For more information regarding Flamingo in the Backyard’s services, please visit our website www.flamingointhebackyard.ca or visit our Facebook page at https://www.facebook.com/flamingointhebackyard ! Have you? I’d love to read it Karen. Thanks for the comment! It can be very dangerous. Being vigilant around water is the number one way to keep everyone safe. Thanks for the kind words Kim! I think it’s also really important to lead by example. If the adults wear life jackets while boating or other on-the-water activities, kids will think nothing of doing it themselves. You can never be too careful when it comes to playing around water. Fab tips Jess! Thanks Jayne! Vigilance is key for sure.